I've got plans for the master ensuite bathroom. It's not a big room but I'd like to have some fun with it. 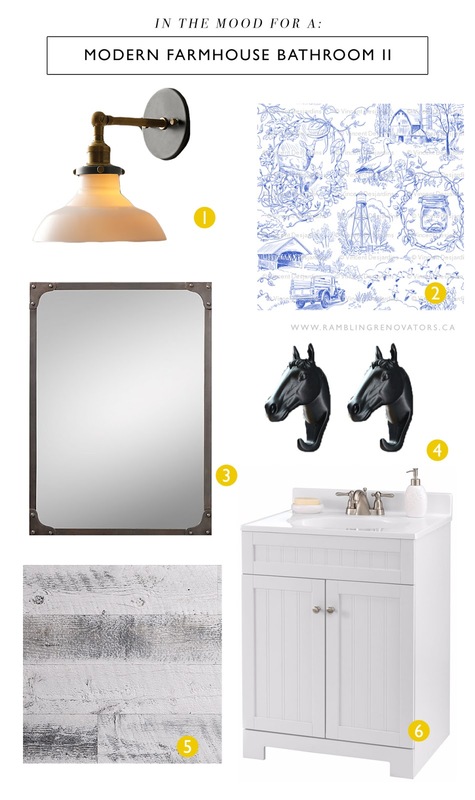 While my mood board for first modern farmhouse bathroom was a bit more woodsy, this one is going a bit more barn. More down-home country. More horse, less shiplap. There's two things I'm absolutely crazy over in this mood board. First is the country toile removable wallpaper. I love wallpaper in a bathroom and this removable kind from Spoonflower would be easy to apply in this small space. The motif is a bit kitschy but I like that! I'd put the wallpaper just along the top third of the wall and above the shower stall. 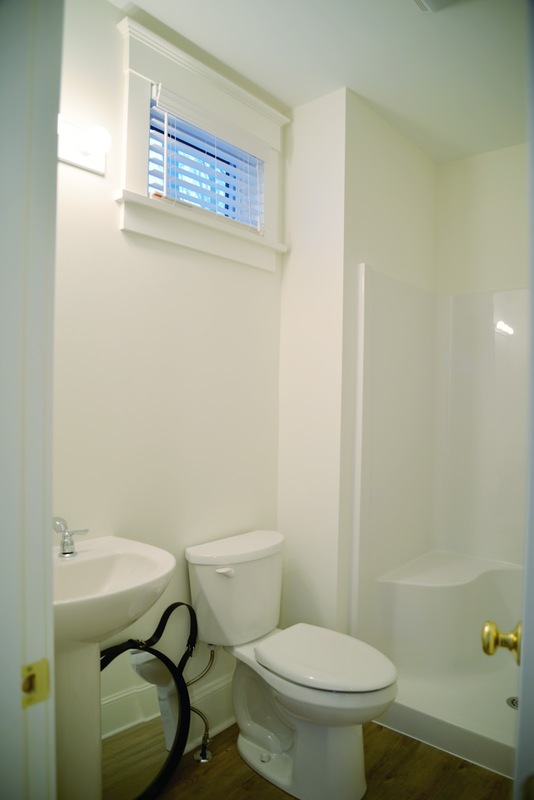 Below that, I'd like a nice flat trim piece to hang hooks off of, sort of like we have in our basement bathroom. And below that, weathered white wood planks. I'd go the easy route with these peel & stick planks from Stikwood. Sean is not convinced, but I think these would look fantastic. I'll have to order in some samples and see how they look. That's the plan, anyway. There is a very real chance that we won't get any of this done this summer though. All we've done is hung the new light. 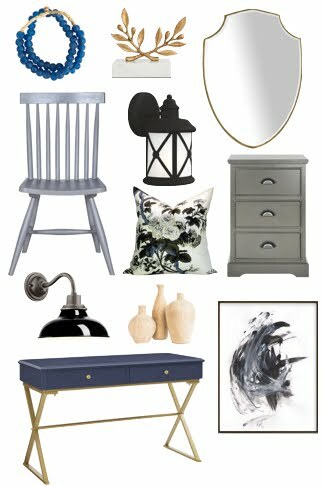 I haven't ordered the wallpaper or measured for the planks and the shower stall is currently not in use as it is filled with our power tools and scraps of wood :) It doesn't help that all I want to do is sit by the pool or nap on the porch instead of working inside the cottage. Maybe I should wish for some rainy days so we can get this all done.